The launch vehicle with the PS-1 satellite lifted off into the night sky over Kazakhstan on October 4, 1957, at 22:28:34 Moscow Time. (250) It was already October 5 in Tyuratam. The flight controllers intentionally left the Tral telemetry system onboard the core stage of the rocket active as it had began orbiting the Earth and the Tral's signal was then picked up during the second orbit of the mission. 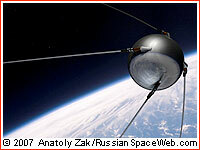 In the meantime, specialists started analyzing telemetry gathered during the launch. The data revealed that the rocket had lifted off normally, deviating from the nominal trajectory no more than 0.3 degrees. In the meantime, the rotation of the steering thrusters did not exceed 3.6 degrees. However, as it turned out, the main engine on the Block G strap-on booster of the rocket was late developing its intended thrust. As a result, 6.5 seconds after the launch, the rocket started to pitch, deviating around one degree from the nominal trajectory eight seconds after the liftoff. In the effort to correct the increasing pitch angle, steering engines No. 2 and 4 on the core stage rotated as much as eight degrees; similar engines on strap-on boosters of Block V and D rotated as much as 17-18 degrees, while tail air rudders rotated 10 degrees. Only a split second remained before the flight control system would terminate the flight of the underpowered rocket. Fortunately, the engine finally reached normal performance and the rocket fully returned to its nominal trajectory between 18 and 20 seconds after the liftoff. In the meantime, at T+16 seconds, the SOB system, regulating the consumption of the propellant onboard failed, leading to the excessive consumption of the kerosene fuel. During the almost entire powered flight, the combustion chamber pressure remained throttled up some four percent from standard. The middle portion of the powered flight went with less drama: from 60th to 70th second of the mission, the deviation from the nominal pitch angle was reaching 0.75 degrees, while deviation in the course was about one degree. At the 100th second of the flight, the bank angle increased to one degree from nominal. Maximum rotation angles for steering engines of the core stage remained within 3-3.5 degrees, for thrusters on strap-on boosters these indicators remained within 6 or 8 degrees and for air rudders -- from 2 to 3 degrees. The separation between first and second stages took place after 116.38 seconds in flight. 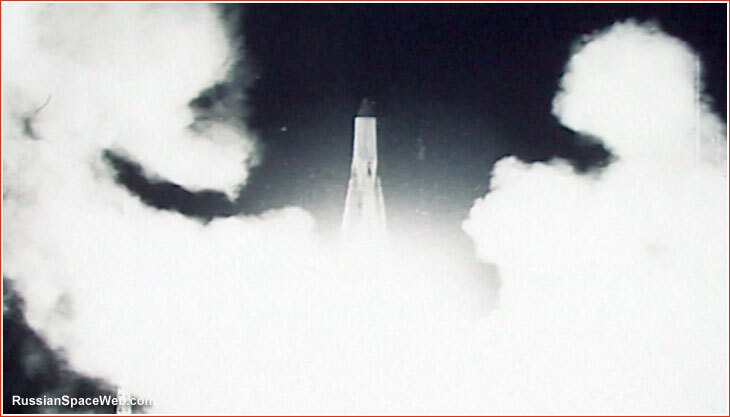 Just 0.33 seconds later, a command to shut down (first stage) main engines, known as VOD, was issued. 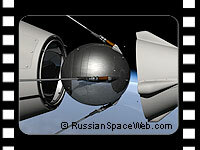 Telemetry showed the reduction of thrust of the engines (of the first stage) within accepted parameters. In the aftermath of the staging, the attitude of the core stage, which continued firing, did not change above 0.5 degrees. Steering thrusters had no need to rotate more than 6-7 degrees on yaw and course channels, which was also within nominal parameters. As the second stage continued to fire, telemetry registered oscillations of steering engines with the frequency of 6.5 Hz and reaching 7.5 Hz by the 280th second in flight. The amplitude of the oscillation reached 2.3 degrees. The oscillations stopped after T+280 seconds. 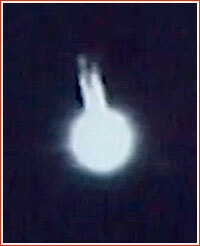 The phenomenon was linked to the flexing of the rocket body. As a result of the SOB system failure, the propulsion system run out of fuel just one second before a nominal command from the programming timer to cut off the engines could be sent at T+296.4 seconds. 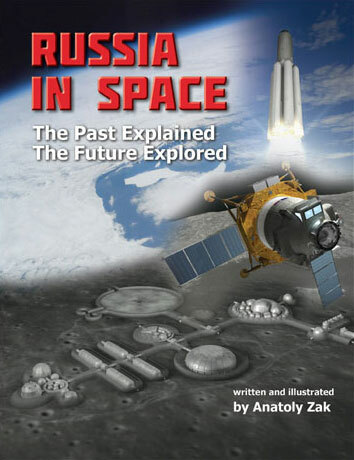 (84) Instead, at 295.4 seconds after the liftoff (51), the engine was shut down by the AKT (Avariyny Contact Turbiny) sensor, which detected the increased spin of the fuel pump turbine, as it was no longer burdened by the flow of fuel. At that moment, 375 kilograms of liquid oxygen oxidizer still remained onboard the rocket. The second stage of the rocket and the satellite entered the 228 by 947-kilometer orbit, with an inclination 65.1 degrees toward the Equator, which took 96.2 minutes to complete. 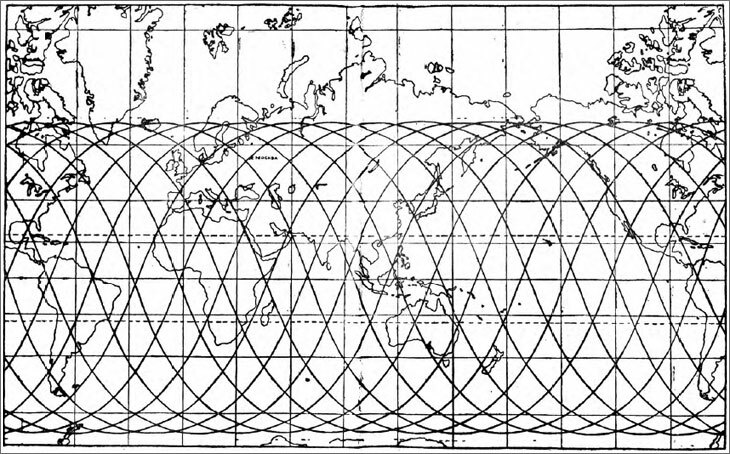 (52) (Another source, quoted orbital parameters as being 223 by 950 kilometers. 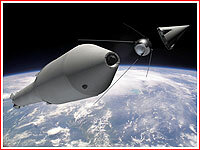 84) In any case, the premature engine shutdown left the satellite in an orbit between 80 and 90 kilometers below nominal. 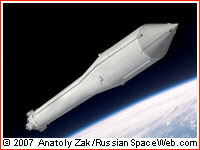 The rocket with the first satellite ascends to orbit. 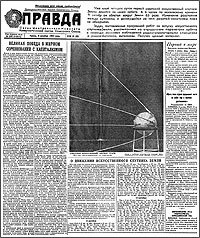 On Oct. 9, 1957, the Pravda newspaper published the first photo of the PS-1 satellite. 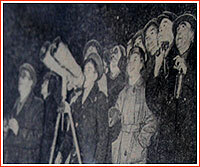 Typically for the post-Sputnik euphoria, the Oct. 11, 1957, issue of the Vechernyaya Moskva newspaper run numerous materials on the first satellite, including this photo of Moscovites trying to catch a glimpse of the spacecraft.